Do you have news, reviews or comments for 'Rocky IV'? Rocky Balboa and Ivan Drago reunited in Creed II. Watch the video at Empire. It speaks volumes that we haven't even made a major film about the 1966 World Cup win. You're sitting at home wondering what to do this evening, well thankfully we're here to help with the 10 best movies on TV tonight. 11 Reasons Why '90s Movies Had The Best Soundtracks Kerrang! 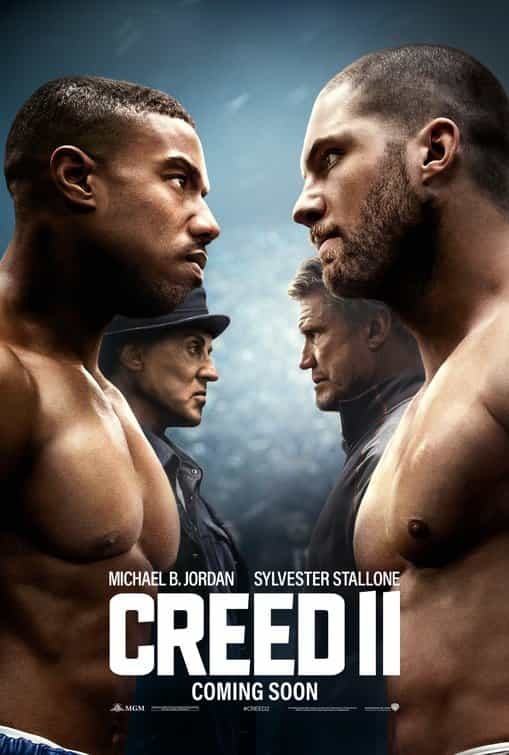 Looking like a true sequel to 1986's Rocky IV this sequel to 2016's Creed puts Apollo Creed's Son against Ivan Drago's son. For those who don't remember Ivan Drago killed Apollo Creed in the ring before being defeated by Rocky Balboa at the end of the film. The BBFC have given Creed II a 12A rating for moderate violence, language and the film has a run time of 130 minutes (2hrs 10 Minutes). The Rocky films have in a small way gone against the grain of sequels not being as good as the previous film and Rocky IV was a great film, now 30 years later Rocky and Ivan Drago face off again. This time its in the spin off Creed series starring Sylvester Stallone as Balboa and Micheal B. Jordan as Apollo Creed's son Adonis. This time Adonis faces off against Drago's son Viktor Drago. The trailer is exciting and brings back many memories of the old Rocky series, the film is directed by Steven Caple Jr. and released in the UK on 30th November 2018.